Farmers have challenged the Health and Safety Executive (HSE) to deal with low-hanging power lines which put their lives in danger. Legally, power lines must be a minimum of 5.2m above ground level, rising to 7.3m for higher voltage cables. But the requirements were set when agricultural machinery was much smaller, and it is not unusual for combine harvesters, telescopic handlers, tractors and crop sprayers to be capable of reaching the lines. There are about 1,000 power line strikes every year, and an 18-year-old Lincolnshire farmer, Jackson Maplethorpe, was tragically killed when his trailer hit an overhead cable in November 2016. At the NFU council meeting this week, HSE’s head of agriculture Rick Brunt was asked why the organisation was not doing more to ensure power supply companies stuck to the rules on minimum height. David Exwood, the union’s West Sussex chair, said: “I am hugely frustrated by the danger of overhead power lines. I must have a dozen on my farm which are well under the minimum legal requirement. “There is not a need for new legislation, [energy supply companies] just do not comply. You report them and they do not take any interest. “Some of this infrastructure is over 50 years old, and we are supposed send people out in the fields day after day, week after week and risk their lives because the power lines are too low. Another East Anglia farmer, Will Dickinson, called on HSE to press for higher minimum standards, saying it was ‘utterly ludicrous’ for the rules to allow for any risk of contact. Mr Brunt urged any farmers who had power lines on their land which were not meeting legal requirements to reach out to HSE if they struggled to get a response from the energy network. “It is in supply companies own interests to do something about this, because it costs them a lot more to deal with outages after strikes”, he added. 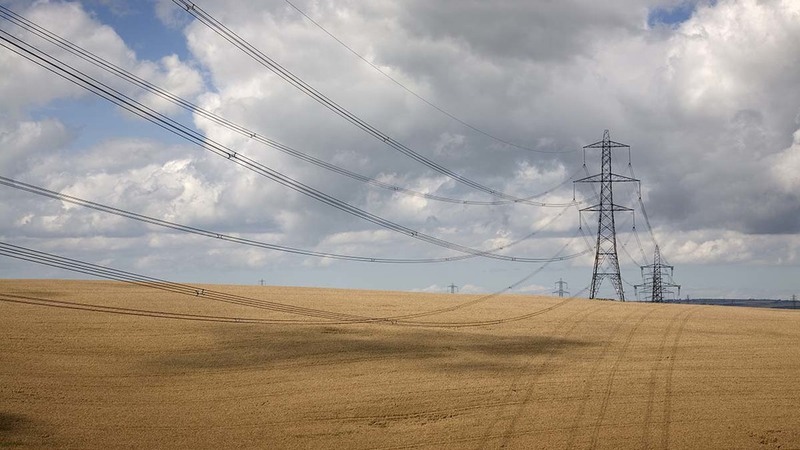 A HSE spokesman said: “We take the safety of our farmers very seriously, and HSE has published guidelines on how to manage the risks posed by overhead power lines which includes a stipulated minimum height for overhead power cables. If you cannot drive away, stay where you are - unless your vehicle catches fire. At this point, you must jump clear. NEVER come into contact with the ground whilst upon your machinery. Jump clear and then bunny-hop away. For more tips on how to stay safe, take a look at our safety guide.